Article: Get Ready To “Rock Your Hot Mess” With Brooke Lewis And Alison Cohen’s New Clothing Line Available Now! Get ready to rock out as actress and author, Brooke Lewis and rock journalist Alison “MetalBabe” Cohen are bringing out one rockin’ clothing line that you are going to love! 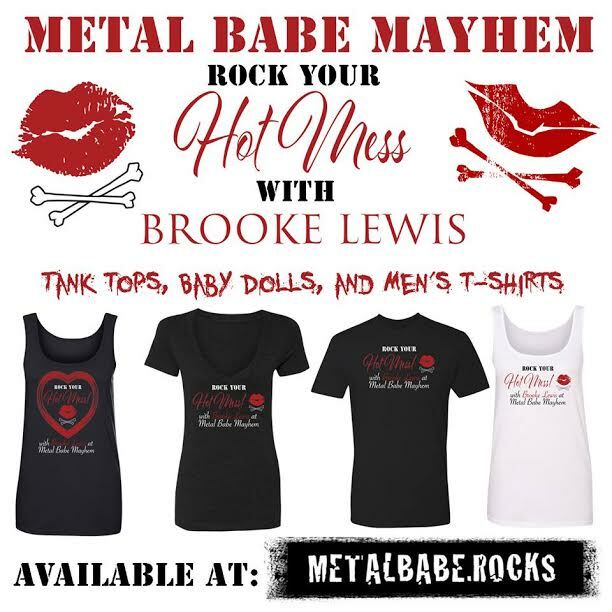 Brooke Lewis and Alison Cohen just released their “Rock Your Hot Mess” clothing line featuring some of the most amazing tank-tops, baby dolls, long-sleeved shirts, men’s shirts, and more. The “Rock Your Hot Mess” line is perfect for you to wear going around town and just about anywhere and the clothing items are all so phenomenal. Alison Cohen created Metal Babe Mayhem back in 2006 combining the love for rock music and the fabulous world of fashion. Now these two fantastic and talented ladies are joining together to give you one excellent clothing line and we know that these items will be at the top of everyone’s wish list. Check out a few photos below of some of the many incredible pieces from the “Rock Your Hot Mess” clothing line! You can purchase your clothing pieces from the “Rock Your Hot Mess” clothing line here. Previous VIPAccessEXCLUSIVE: Singing Sensation Alex Aiono Interview With Alexisjoyvipaccess At The Power 106 All-star Celebrity Basketball Game! Next Article: Join The Harajuku Girls On All Of Their Adventures In Gwen Stefani’s Animated, Nickelodeon Show “Kuu Kuu Harajuku” Premiering 10/3!